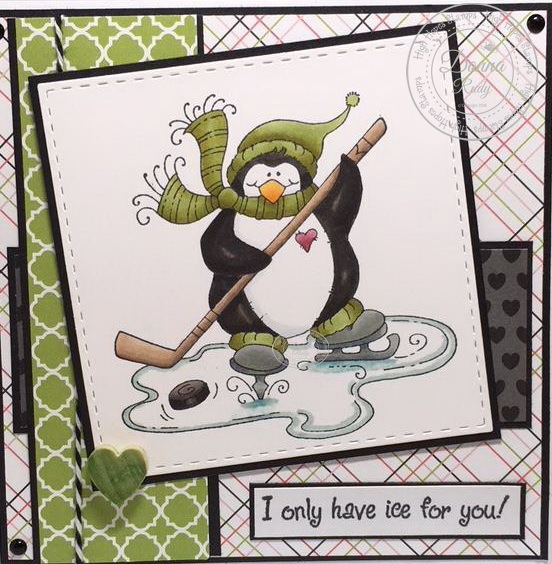 Kards By Krash Scrapper: Hockey Penguin Valentine?? 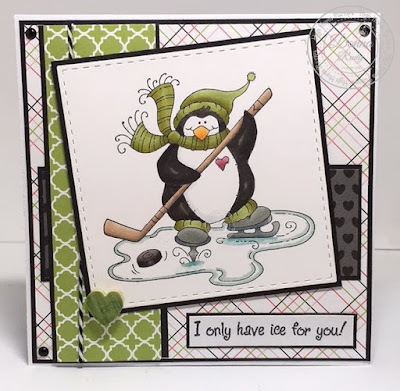 Yes folks, you read that right - my post today features a hockey playing penguin for a Valentine's Day card. 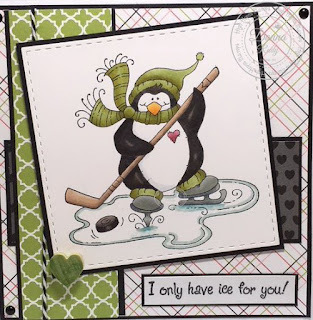 I have a number of friends who's spouses love hockey. They live and breath it, the TV is always on a game when there is one on and don't touch the remote! I found some Valentine feel papers in my vast array of paper and coloured my stamp to match. I added some twine, a wood heart coloured to match and some black gumdrops. It is a more simple layout but I think has a masculine touch to it and the heart and heart paper count for Valentine's Day right? DONNA!!!! this is amazing! I want your brain lol! 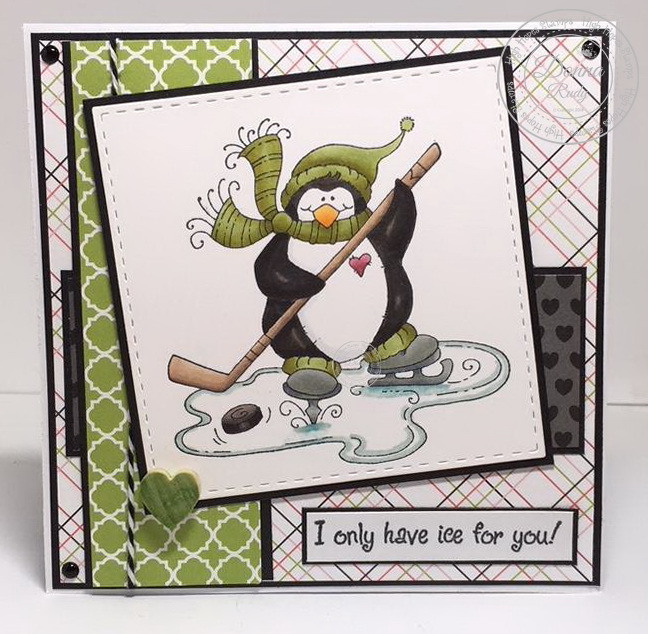 I would have never thought to do this and it's perfect for those "hockey guys" which I happen to have!! Love your colour theme and the layout! Just perfect! !